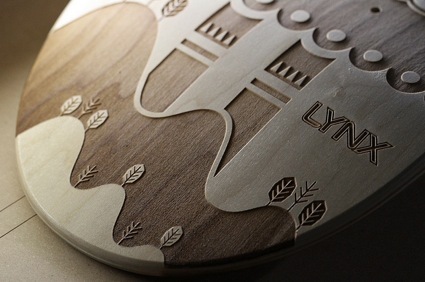 Laser-marking is a generic term used to cover a wide spectrum of surfacing techniques, including hot-branding, printing, and laser bonding. Basic laser marking methods also include deep marking/engraving, color change, annealing, and surface removal. Nowadays, vector-based laser-marking holds the leading market share and it is based on galvanometer scanner heads. Two scan mirrors are used by the laser beam to be reflected and it can be placed anywhere in the marking spectrum, following any preferred path. Laser-marking technologies run on standard PCs that control the scan mirrors and alter the beam on/off. A US company has recently received a patent meant for a tablet-marking technique that could provide an innovative anti-counterfeiting solution. The strategy mixes a low-power laser with a color-changing additive to brand edible pharmaceuticals as clearly as possible with dosage information, trademark symbols, and bar codes. The additive is called “DataLase” and it comes in a wet-solution and dry-powder form. It is mixed in a tablet-coating solution and then applied on a tablet’s surface. The additive responds to particular wavelengths discharged from CO2 lasers that are low-powered, and changes colors from white to black. Its much like a pen-on-paper strategy, the coating changes colors instantly in the laser’s patterns. The degradation of the product won’t happen because the laser low power will only impact the tablet’s outer coating. This laser-marking technique only demand a bit of energy and it’s no harsh in any way. DataLase claims to be a leading supplier of marking and laser coding of products and packaging. They use pioneering materials meant to create dedicated ink solutions that facilitate the in-line, high-speed printing of information with lasers, thus permitting late state customization. Another great name in the industry is Fimark, a company that offers technical spray painting and laser marking services to aerospace, general manufacturing, medical and automotive industries. What’s great about these laser-marking techniques is that it’s fast. It fabricates less waste than some other conventional tablet-marking processes. Embossing methods for example, has the tendency to damage or crack tablets; the end result could mean more rejections and failures. As for the ink-spraying technique, this one demands a lot of drying time and this automatically means that the production line is slowed down. Considering that terrorism and counterfeiting concerns are getting stronger and stronger with every day that goes by, it’s only natural for companies to want to protect their integrity and product line. Laser-marking techniques are widely used in the pharmaceutical field at the moment, and the FDA may impose the whole technology to all products in the foreseeable future. What’s great about the laser-color-changing technique is that it can generate clear-cut symbols. Basically, making a 2-dimensional or linear barcode on a tablet has never been easier; the laser’s small spot size permits top-quality, super-sharp images to be created. Traditional methods that are non-impact such as inkjets are not suitable because they make use of a spray that forms characters, and that often leaves extra ink on the tablet. From an aesthetic point of view, this can be extremely unpleasant; in case there’s a code that must be scanned electronically, the beam won’t have proper clarity. Laser-marking usually involves marking all kinds of plastics and metals, as well as numerous other types of materials without adding unwanted substance. The typical effect of the laser marking brings change in color, so basically there’s no surface modification by burrs or corrugations. Various laser sources and marking methods are being employed to attain the finest results on each and every type of material. Independent of marking methods and material, laser-marking proposes unlimited possibilities as far as marking shape and content is concerned. The software-controlled, flexible process allows on-the-fly stamping of moving work pieces, as well as individualized marking contents. Laser-marking techniques are certainly an excellent way of improving tablet branding. Deep marking for example uses technologies that are based on laser-induced ablation through evaporation and displacement. The method is commonly used to create direct, durable product marking that is resistant to corrosion, tear and that it forgery-proof. As for the annealing technique, this one creates a permanent mark induced by oxygen and heat without obvious material ablation; laser annealing is a process used with all types of metals that illustrate a change in color when exposed to oxygen and heat, particularly stainless steel. Laser marking is so much more versatile than some might believe; what seems like an efficient method of design is also an effective marketing technique and prevents forgery, among other things. Great article, thanks for sharing!